Perfectly sunny day with 6-8 knots of breeze to begin with. The later races saw the wind build to 10-12 and a small chop start building. 8 boats out racing! FDG with Herb and Pat L.
Most boats were doing training with new crew and that led to all 8 boats going downwind in the first race with jib and mains only. Interesting to see. Lol. SBY was rigging late and missed the first race, but cleanly went around the course in races 2 and 3. There were 2 boats with issues. FDG had a rudder pintle issue that kept them out of the last 2 races. SAM had a crack appear on the rail that was leaking water and sent them to the dock early. Results from 3 races: THANK YOU RACE COMMITTEE! We cooked a few bits on the TSS grill afterwards and shared some desserts. Bryan and Cathy led us in a boat renaming ceremony. The black boat is now known as Kemo Sabe (KSB). 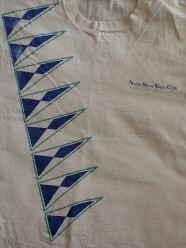 Next sailing is Wed. night at the Wednesday Evening Casual Sail! Our Fleet 18 traveling series started last December sailing the waters of Lake Monroe, Buttonwood Sound (at Key Largo), Lake Eustis, Sarasota Bay, Lake Dora, and Lake Weir. Nine boats competed at the events, and we appreciate the commitment of all the skippers and crew for their time and investments in these road trips. 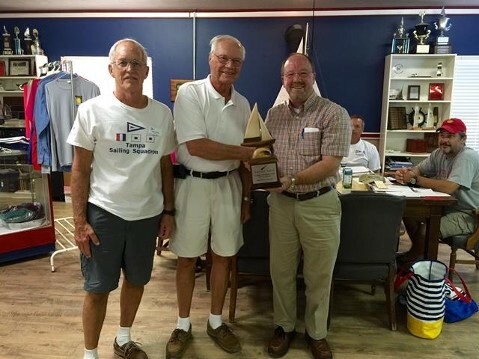 Fleet 18 congratulates Ed Plotts sailing "Out of the Blue" with crew Don Thomas and John Hammerslough assisting him to 1st place for the Florida Championship Series! And a big congrats to son Zack and dad Dave Tonkin sailing "The Force " to 2nd place. Margaret and I followed at 3rd place in "Radio Flyer". We will present the Fleet 18 Championship Series perpetual trophy to Ed at the May 13 TSS members meeting. We will start the next travel series event again in November at Tampa Sailing Squadron. Congratulations again to Ed and Don! Fleet 18 presented the Florida Championship trophy tonight to the 1st place team Ed Plotts and crew Don Thomas at the TSS members meeting tonight. This travel series will start again in December. Congrats again Ed and Don! The sun has been hiding from us here in central Florida for most of this week, but poked back out big time this weekend, with temps back on the 80's. If your weather has you down, then join up with Fleet 18 heading even farther south to the "Dead Dogs-n-Tin Whistles" regatta in Key Largo Jan 16-18. Currently there are (6) confirmed Fleet 18 Mutts planning to be there. TSS is starting off 2015 with Mutt practice races every Sunday, and Open Portsmouth races the 1st Sunday of each month till the Nationals in October. TSS first official MNC 2015 planning meeting will be the week after DDTW, date and time has not been set yet. A very well run event I have been telling you about for several years is the Mount Dora Yacht Club 61st Annual Regatta on March 28-29. I hope to see all Fleet 18 boats at this event. The NOR has not been posted yet but you can check it out soon at http://www.mountdorayachtclub.com/ This could be a Mutineer Spring Nationals, but if not then we will definitely be fleeted this year! Fred has finally taken out the original Chrysler balers in "Silly Boy" and filling the old holes in today, then coming over to the Mutt Shop on the 11th to cut in the new Super Max unit(s). Mark Beiley is continuing work on his Wellcraft model, he has ordered sails from Shurr; finished the mainsheet purchase access hole and cover; got the main sheet tackle tied down with through bolts; and working on the mast step. His next project is hiking straps and a most important item- a hitch on his Element in a couple of weeks. My boat has a mess of projects installing before DDTW. I noticed this week that the original rudder blade has finally developed a level crack from the forward edge to the pivot bolt. Although the repair will be an easy project, I am taking the opportunity to finish a wooden blade I started a couple of years ago as a spare. This epoxy coated Poplar rudder weighs in at just under 4lbs, while the original blade is 6lbs. So the original blade will be my backup blade now. The last two coats of epoxy have not been installed yet in the attached pic. I will not have time to make the new rudder head before heading to Key Largo (rudderhead design from Bob DeRoark's plans and directions found in the Mutineer Yahoo files section). Also I broke down and snatched out the oval throated spin snout. This original Buccaneer snout (that our Mutt friend Tate Beckham from Alabama Fleet 34 was kind enough to give me several years ago) has served me well. (And Tate, if you do not want the snout back, then I will donate to the Mutt fleet at TSS). I will be laying up the new snout this coming week using laminating resin (which I have not used before). I added a removable modification to the flange area of the snout mold for a closer match to the deck shape fore and aft. Its just drywall compound used to flatten the flange some. I am also converting the mast to internal halyards, changing out all the running rigging, and new cuddy cover. I will followup with some pics of how I am sealing up the masthead fitting so its not going to let water in during a capsize. Well that is it for now, hope to see you in Key Largo. On behalf of the "Skipper" and "Radio Flyer" teams attending MNC, we want to also share with everyone what an absolute great time we had at Grapevine. Fleet 2 did just an absolute awesome job from start to finish. 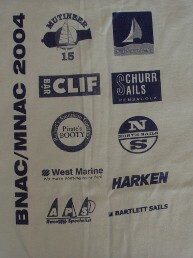 A high bar has been set for 2015 MNC, but I am sure Tampa Sailing Squadron is up to the task next October at their home port in Apollo Beach (a few minutes south of Tampa). Yarda and Marian came back from MNC really "fired up" from their experience, and have been applying what they saw and learned from Grapevine to sail very competitively at two back to back regattas when they got back. They beat Margaret and me in both of these events, and smoked the San Juan 21 fleet after 12 miles to windward in one these long distance races. In another long distance race they chased us for 3 hours, then on the final leg which was a spinnaker drag race they pulled ahead of us by 11 seconds at the line. Great fun sailing with them! Ginette (our MCA treasurer from Key Largo) took us up on our offer to donate a hull to deck repair for her Mutt "Wing" which was damaged at last years Dead Dogs n Tin Whistles (Mutt and Bucc rendezvous). Wing is back together and better than ever, and now spinnaker ready too. So she will be back on the water at next months DDTW gathering at Upper Keys Sailing Club. Mark in Sarasota is continuing the upgrades on his Wellcraft Mutt. He has ordered new sails from Shure, and we hope to see him next month at DDTW, if not then in the spring events. We've been hoping to muster fleet status at this weekends Lake Monroe Sailing Association 13th annual Kettle Cup benefit regatta for the Salvation Army. Although only (3) Fleet 18 boats could make it, we left a serious impression on other Open Planing boat teams among the 51 boats competing on two courses. Ed Plotts brought is great looking and very competitive Nickels model "Out of the Blue, with crew Don from TSS also. We met TSS member Matt Dalton and new TSS member Herb Maquire on Saturday morning already there and rigging "Dream Chaser". For this event Matt took the helm and Herb crewed on his newly acquired unbelievably '79 "Championship" model Chrysler. The boat came out of PA from the original owner, and all I can say is WOW. Seeing this boat has restored my faith in humanity! This boats skipper kept her since 1979 not trading her for a motorcycle, car, or Nintindo like stuff! Pictures do not do her justice. Anyway back to the regatta. Saturday was windless and we couldn't get the first race in. A great dinner event was held Saturday evening, and in addition to nice door prizes from APS, West Marine, and host of other great sponsors, a very generous half pot raffle was won by a Capri 22 team from Sheboygan. Sunday winds were aided by an oncoming front and started out about 10-12 mph for three varying W/L races, then the winds really powered up for the final race. Margaret and I stayed out for the final race which the winds I believe went over 18 before the start, but on this shallow lake the waves are crazy in high winds. After crossing the line we took about five waves washing over the deck (not spray) and unbelievably swamping us. Margaret said she'd had enough, and we came in early. Ed and Don also played it safe and bowed out of that race. 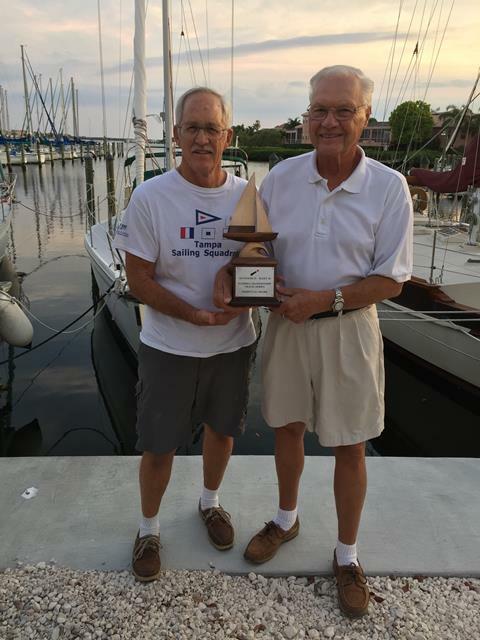 Herb and Matt stayed out and finished the regatta taking 1st place in Open Planing fleet! Margaret and I fought our way to 3rd. Herb and Matt (pic attached) will be a team to be reckoned with if they pair up at MNC 2015! LMSA puts on a well run well attended regatta and could be an even greater Mutt event next year!. If you cant make DDTW next year then perhaps haul the boat down in December and join us for this fun benefit event. TSS will continue there every Sunday Mutt practices, and 1st Sunday open Portsmouth races until MNC 2015. The spin snout mold will be back to me this week, and will delivery to TSS for there continued projects. See you at DDTW next month! Hello to everyone from Fleet 18! Six Mutts were rigged, ready, and in the water at TSS Sunday, but the 1:00 start timed perfectly with a pretty good line of storms. So we never made it out to the course, and postponement gave way to canceled races. However after the storm we got to review progress on the boats, and they are looking good!. TSS is still looking for sails, and now some tiller extensions. Fred is back to better health now with Elma's help of course (yea Fred!) and they made it over to TSS Sunday! Their Mutt "Sillyboy" is getting ready to get cut for new balers to get it ready for the fall races. Don Miller, Ed Plotts, and Nick Lavelle have been spearheading the projects on the TSS fleet and their work is really looking good. Mark Beiley is continuing work on his Wellcraft Mutt, and shooting to have her race ready for MNC 2015. TSS is putting Mark at the helm of available fleet boats for their summer races, so he's getting some good boat time. My boat is pretty much caught up but is also getting cut for a second scupper. There are potentially three Fleet 18 boats heading to MNC! We wont say who the other two are right now so we don't jinx them! 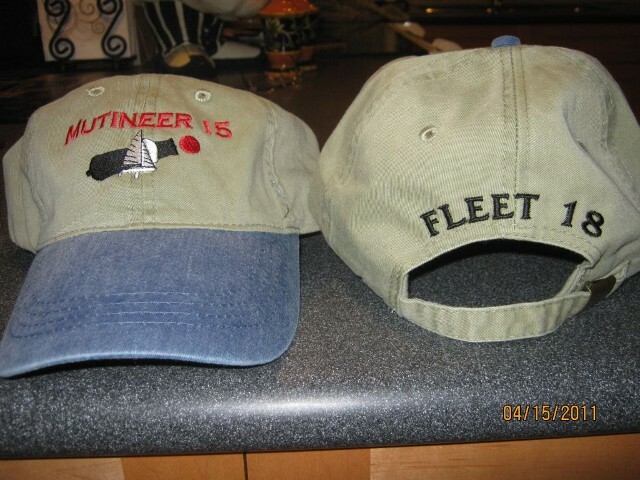 We've run out of Fleet 18 hats, but that is a good thing! Fleet 18’s numbers grew in 2013 with a resurgence of interest in our little boat. 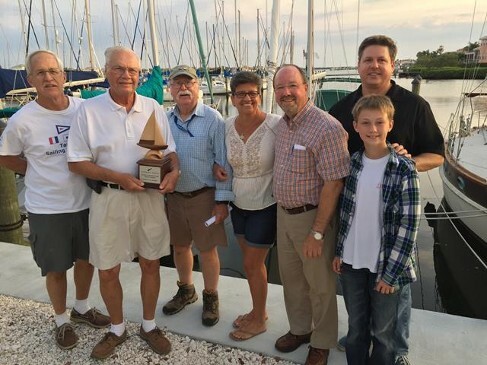 The Tampa Sailing Squadron as some of you may know acquired four project Mutineers to add to their Youth and Adult sailing program, and they were looking for some parts via our Yahoo Forums. TSS still needs sails for some of the boats, and work session days are being scheduled with volunteers from TSS and Fleet 18 to help them improve the boats. 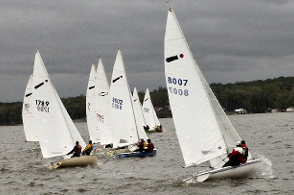 Three Fleet 18 boats attended a TSS regatta back in the early fall. The RC fleeted us with four boats, and we had a great time out on Tampa Bay with consistent breezes. Once again it was proven that these boats can be very competitive from nearly opposite ends of the condition/restoration spectrum. Out of this resurgence, Ed Plotts (a current member and past TSS officer, and now Fleet 18 member) just a few months ago bought a 70’s fixer upper, and did an absolutely awesome job restoring the boat to competitive condition, and in record time (watch for a post on the Forums with pics of “Green Machine” before and after). Ed has now just acquired a Nickels Mutt from a Colorado skipper, and is turning over Green Machine to the TSS program. Ed and wife Cindy will be bringing the new boat “Out of the Blue” to join us at “Dead Dogs-n-Tin Whistles” regatta hosted by the Upper Keys Sailing Club in Key Largo on Jan 17-19. 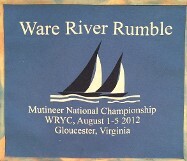 This will be the first Nickels Mutineer to attend or compete at DDTW! More info about the DDTW regatta is below. We met Mark Beiley at a TSS regatta this early fall also, and quickly adopted him into Fleet 18. Mark found us via our Yahoo forums. He and his wife came up from Sarasota to meet us, and to see some of the other Mutts. Mark is currently putting his 80’s Wellcaft Mutt back to safe sailing condition with help and advice from folks on the forum. Also Mark crewed for me at Ocala Sailing Clubs fall regatta and did an excellent job, bringing us in at 3rd place in our division. We hope to see both Mark and his wife at Key Largo, and with his Mutt. Last January Maurice Runnells and his wife Dolores came down to Key Largo to see what DDTW was all about. Maurice sails and club races his Mutt in Winter Haven Fl. Maurice has already registered for DDTW this year, and we are looking forward to seeing him and Dolores since last seeing them at Mt. Dora Yacht Club’s Centennial regatta last April (Maurice crewed well to place in a Wayfarer I believe). If you cannot make it down to Key Largo next month, then perhaps by March you will want to get away from your weather and head south. We have several great regatta venues in central Florida in March and April. In April we will be striving again to fleet the Mutts at the Mt Dora Yacht Club regatta, just 30 minutes north of Orlando. This year I know we will make it. Feel free to call or write me for any details of this event April 4-7. In May we plan to rendezvous again at the TSS regatta. This will be our springboard event for those preparing for the trek to the 2014 Nationals in Texas. 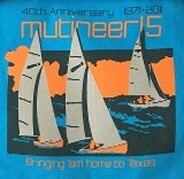 Next October Fleet 18 will have at least one boat at the Mutineer Nationals in Grapevine Texas. Also, you may have heard the exciting news that MCA has accepted the offer from Tampa Sailing Squadron to host the 2015 Mutineer Nationals in Apollo Beach just south of Tampa on the east side of Tampa Bay. Fleet 18 active skippers are: Ginette Hughes, Fred Madden, Maurice Runnels, Ed Plotts, Mark Beiley, Jim Davis, and we’re now looking for the new skipper of “Green Machine”! · Fleet 18’s numbers grew in 2013 with a resurgence of interest in our little boat. 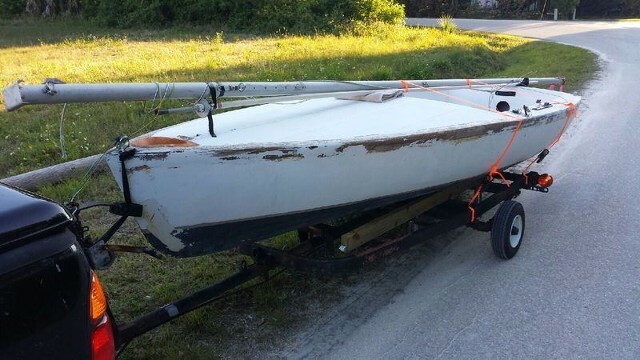 The Tampa Sailing Squadron as some of you may know acquired four project Mutineers to add to their Youth and Adult sailing program, and they were looking for some parts via our Yahoo Forums. TSS still needs sails for some of the boats, and work session days are being scheduled with volunteers from TSS and Fleet 18 to help them improve the boats. Three Fleet 18 boats attended a TSS regatta back in the early fall. The RC fleeted us with four boats, and we had a great time out on Tampa Bay with consistent breezes. Once again it was proven that these boats can be very competitive from nearly opposite ends of the condition/restoration spectrum. Out of this resurgence, Ed Plotts (a current member and past TSS officer, and now Fleet 18 member) just a few months ago bought a 70’s fixer upper, and did an absolutely awesome job restoring the boat to competitive condition, and in record time (watch for a post on the Forums with pics of “Green Machine” before and after). Ed has now just acquired a Nickels Mutt from a Colorado skipper, and is turning over Green Machine to the TSS program. Ed and wife Cindy will be bringing the new boat “Out of the Blue” to join us at “Dead Dogs-n-Tin Whistles” regatta hosted by the Upper Keys Sailing Club in Key Largo on Jan 17-19. 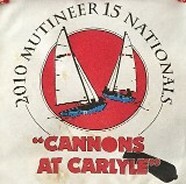 This will be the first Nickels Mutineer to attend or compete at DDTW! More info about the DDTW regatta is below. · We met Mark Beiley at a TSS regatta this early fall also, and quickly adopted him into Fleet 18. Mark found us via our Yahoo forums. He and his wife came up from Sarasota to meet us, and to see some of the other Mutts. Mark is currently putting his 80’s Wellcaft Mutt back to safe sailing condition with help and advice from folks on the forum. Also Mark crewed for me at Ocala Sailing Clubs fall regatta and did an excellent job, bringing us in at 3rd place in our division. We hope to see both Mark and his wife at Key Largo, and with his Mutt. · Last January Maurice Runnells and his wife Dolores came down to Key Largo to see what DDTW was all about. Maurice sails and club races his Mutt in Winter Haven Fl. Maurice has already registered for DDTW this year, and we are looking forward to seeing him and Dolores since last seeing them at Mt. Dora Yacht Club’s Centennial regatta last April (Maurice crewed well to place in a Wayfarer I believe). · If you cannot make it down to Key Largo next month, then perhaps by March you will want to get away from your weather and head south. We have several great regatta venues in central Florida in March and April. · In April we will be striving again to fleet the Mutts at the Mt Dora Yacht Club regatta, just 30 minutes north of Orlando. This year I know we will make it. Feel free to call or write me for any details of this event April 4-7. 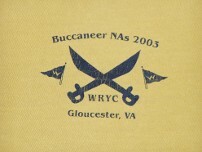 · In May we plan to rendezvous again at the TSS regatta. This will be our springboard event for those preparing for the trek to the 2014 Nationals in Texas. 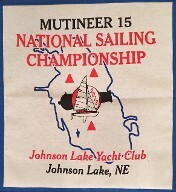 · Next October Fleet 18 will have at least one boat at the Mutineer Nationals in Grapevine Texas. 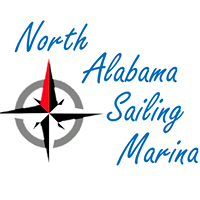 · Also, you may have heard the exciting news that MCA has accepted the offer from Tampa Sailing Squadron to host the 2015 Mutineer Nationals in Apollo Beach just south of Tampa on the east side of Tampa Bay. The weather was beautiful(but the wind not so much) for two teams from Fleet 18 that competed in the long distance race (day one) of the Clemens Cup at Lake Harris in March. Congrats to teams Madden and Eller placing first and second respectfully in the open portsmouth planing class. The second days buoy races were cancelled for lack of a breeze at race time. 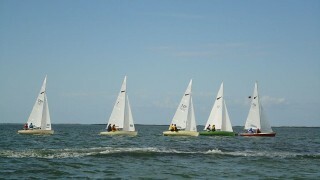 Three Fleet 18 teams competed at the 98th Annual Mount Dora Regatta in April. Team Eller, Madden, and Davis had a great time in nice breezes, but unfortunately we did not have enough boats to fleet, and sailed in the open Portmouth class with other planing boats. Team Davis medaled to fourth place. We will definetely be fleeting next year for sure with another Orlando area boat coming onboard, and team Hughes coming up from Key Largo! Teams Madden and Davis made it up to Ocala Sailing Clubs Harpoon Nationals and Invitational Regatta last weekend for a great get together with 21 total boats on beautiful Lake Weir. Some boats in the first and second starts were able to make it around the course before the hour and a half time limit. We were not so lucky in the third start and had to take a DNF(for the first time ever! ), but a great time was had by all. We plan to travel back there in the Fall for a one day "around the lake" regatta around Halloween time. We are planning a Fleet 18 Family and Fun sail weekend gathering and would like to here from you for ideas on a central destination for all boats. A location with overnight camping, picnic tables etc. would be ideal. We are not just into racing the Mutineer and would love the opportunity to rendezvous, share boat projects, ideas, and enjoy a relaxing day on the water. I look forward to hearing back from you. Three boats from Fleet 18 made it out to the Mt Dora Regatta this weekend! We needed five to fleet this year, so we raced in Open Portsmouth against Raider 16's, and RS Feva, M Scow, Hobie something(big catamaran), Vanguard 17, and a Buccaneer. We sailed on one of three courses, with about 50 boats altogether, and five other classes fleeting. Fred and Elma Madden, Jerry Eller(single handed), and Margaret and I raced in very tricky 5-12 winds for most for the four races on Saturday, before the wind just completely gave our on the last leg of race four, where the RC shortened course to finish us at the downwind mark. All the Fleet 18 boats sailed well without breakdown other than an original jib car blowing apart on Fred's boat which we were able to find parts for Saturday night after the regattas fantastic regatta dinner and entertainment. Two Mutineers will represent Fleet 18 at next weeks Ocala Sailing Club's Harpoon Nationals and Open Regatta at beautiful Lake Weir in central Florida. Two teams from Fleet 18 (team Whiteout and MissFits) made it for the two days of racing at the Kettle Cup Regatta at Lake Monroe. Brisk winds were a test for the crews and boats at this benefit for the Salvation Army. Since we did not fleet we were scored open portsmouth against some hard to beat handicaps, but we had a great time at this well run regatta. Lets fleet the Mutts next year! Three teams from Fleet 18 made it to the Dead Dogs-n-Tin Whistles Regatta at the Upper Keys Sail Club in Key Largo Jan 15-16, and what a great time was had by all. Team "MissFits" placed third, with team "Wing" just a few points back, and team "Sillyboy" had no trouble finishing with the group. A total of eight Mutineers from as far away as MI, OH, NC, and AL made the trip. These old boats suffered no major breakdowns in brisk breezes, so good job to everyone on getting these boats race worthy and maintaining them! A total of eight races were run over the two days. Some pics are above. Talk is that this venue may become the Mutineer Winter Nationals. Central Florida Yacht Club's Clemens Cup Regatta at Lake Harris this past weekend had two Mutineers duking it out in the Planning Fleet. Jerry Eller was a respectful third and Fred Madden made it to first in this very light air cruisers race. Sundays races were cancelled to lack of winds at starting time. Mount Dora Regatta at Lake Dora April 2-3 will have at least 3 Mutineers at the line, and hoping for more! This two day race is a fun time with lots of boats on the water over several courses. Ocala Sailing Clubs's Spring Regatta at Lake Weir April 9-10 will also see three Mutineers hopefully on this beautiful lake. 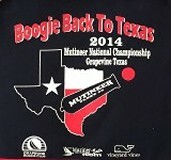 The Mutineer 15 Nationals have been planned for June 28- June 2 in Lake Grapevine Texas. So far there are three Fleet 18 team planning to go; Sillyboy; Whiteout; and MissFits. 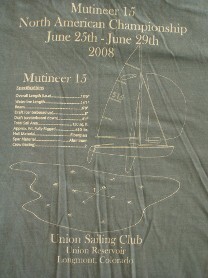 Stay tuned to the Yahoo Mutineer Forums for info and updates. Whiteout got flipped over this month for some centerboard repairs and trailer upgrades, and is now getting new shrouds. "Sillyboy received a serious repair to her starboard rail from an accidental collision during the race at Key Largo, and a cuddy cover. Missfits will get a new hull paint job after Mt Dora Regatta. Please call me with any questions about the upcoming events, and if you have an idea for a fun sail in your area to share with the group. As you can see from those listed below that our numbers have grown. Some of the fleet are cruiser types, and some are racers too. Some listed have boats in progress of getting back on the water, and some are not current Mutt owners anymore. But within the group is a world of knowledge about the boat, so feel free to reply back with questions. 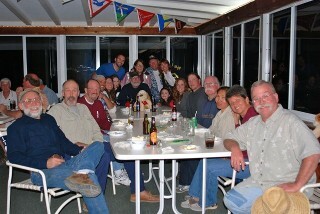 We plan to keep you current on Florida and SE area sail events where Mutt sailers plan to gather. Contact me, Jim Davis, at yellowmutt49@yahoo.com to join the fun. The Florida Mutineer folks have resurrected Mutineer Fleet 18 originally home ported at the Sailfish Club of Florida in Palm Beach.